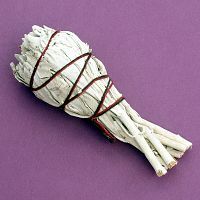 - A 4" bundle of white sage for smudging. 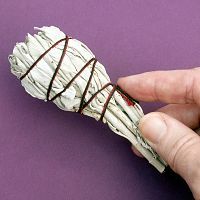 Smudging is a simple ritual for whenever or wherever you feel the need to cleanse, balance or purify yourself, others, a room, your crystals or other special tools. Smudging is a simple ritual for whenever or wherever you feel the need to cleanse, balance or purify yourself, others, a room, your crystals or other special tools. Our large sage bundles combine deliciously fragrant desert sage with other dried herbs to create powerful, fragrant wands for smudging. 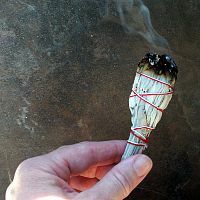 Click to see our How to Smudge article. 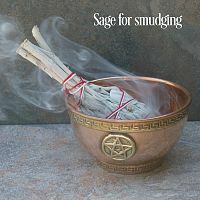 Do you have any other questions about our Baby Sage Smudge Bundle? With a $2 price tag, I thought it would be too dry/stale or be made with poor quality leaves. I humbly admit, I was WRONG. Burns great and even comes packaged with simple instructions for those new to smudging. I have finally found a place to buy my sage! This small sage bundle is great for portable altars/shrines. Great quality at a fair price, will be buying more of these in the future! I just found your site and am sooo glad I did, as it seems it have everything I have been wanting / needing . Prices are spot on and product is good.